A new, patented one-part self-laminating label that can include sequential serial numbering and is designed to let users hand write-in calibration-, inspection-, installation-, maintenance-, and warranty information has been introduced by Nameplates For Industry, Inc. of New Bedford, Massachusetts. NFi Capturite® Self-Laminating Labels let users record information by hand and permanently seal it under a clear protective Mylar® laminate. 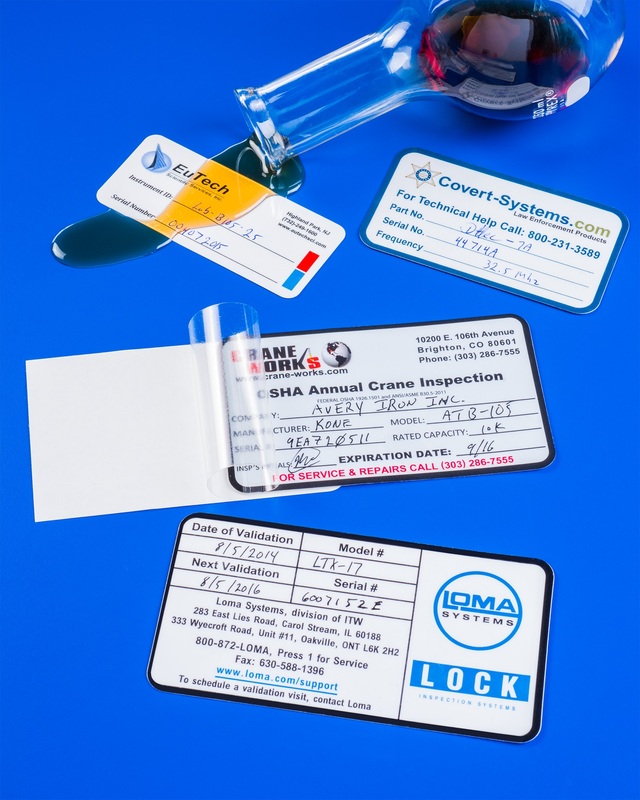 Ideal for recording installation or inspection dates and other variable data, these one-part labels can be custom printed on a white or silver Mylar® base material and are water-proof and resist most chemicals and abrasives. Featuring 3M adhesives that adhere well to a variety of substrates including powder coat finishes and LSE plastics, NFi Capturite® Self-Laminating Labels can be customized to specific customer requirements. Suitable for indoor and outdoor applications, they can be supplied in 1” sq. to 4” x 6” sizes and can include words, graphics, logos, and sequential serial numbers. NFi Capturite® Self-Laminating Labels are priced according to substrate, size and quantity. Free samples and price quotations are provided on request.